Famous for its 500m long picturesque beach locally known as North Beach, North Wollongong is one of the area’s favourite suburbs with its small-town community feeling and upmarket accommodations. 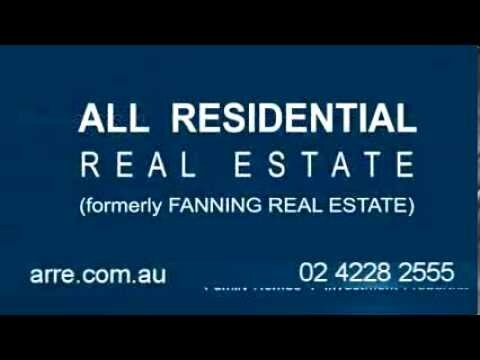 It comprises an area of approximately 2.5 sq km and neighbouring suburbs include Fairy Meadow, Mount Ousley and Gwynneville. Ever-renowned as a tourist destination, its popularity dates back to the 1920’s when visitors to the area planted Norfolk Island pine trees, many still remaining today. It is also the start of the Wollongong to Thirroul Bike Track which hugs the coastline all the way to Thirroul in the north which is also the beginning of the Heartcare Foundation Peace Mile. One of Wollongong’s best hotels, The Novotel Northbeach overlooks the beach which offers dining and entertainment in addition to Diggies beachside café and the newly revamped Bather’s Pavillion which has just undergone a $13.9M upgrade. Just next to the beach is Stuart Park, a foreshore recreation area with picnic tables, huts, playground, BBQ’s and public toilets. Just west of North Beach a small park that follows the cliff between Cliff Road and the bike track. In 1893 in this area, Smiths Hill Fort, was equipped with three cannons installed to fend off possible Russian attack. Two of the three cannons remain today and have been restored as memorials to a threat that thankfully never eventuated. Many of the Illawarra’s prestigious high-rise buildings are located in North Wollongong and there is a convenient shopping and restaurant strip along the nearby Princes Highway near the North Wollongong Station. On the other side of the railway overpass is another shopping area including food stores. North Wollongong is the terminal of the Mount Ousley Road, the main route to Sydney. The population in 2006 was 2,956 with the predominant age range being 20 to 29 years old. The largest sector of the population are not in the labour force whilst those who do work are employed in the professional area with most driving to work by car. There are approximately 1, 192 dwellings, most of these being Units or Apartments. 25.3% of the properties are fully owned, 18.2% being financed and 46% being owner occupied. 47% of the households in North Wollongong comprise couples with no children. There are 3 parks and a High School. The median price of houses, units and vacant land is $450,667 compared to $387,055 for the Local Government Area of Wollongong.